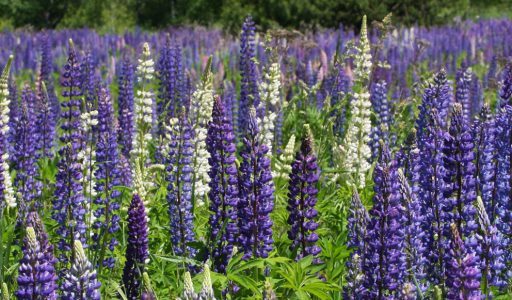 Anyone who has organized a large group event knows that at times prior and during the event organizing people can be a bit like herding cats! Now I know this sounds like an odd way to write about the Women Who Sail 3rd Rendezvous but humor me for a moment. First off – I like cats and I like people and I like organizing things – it’s what I do. But things can get challenging. 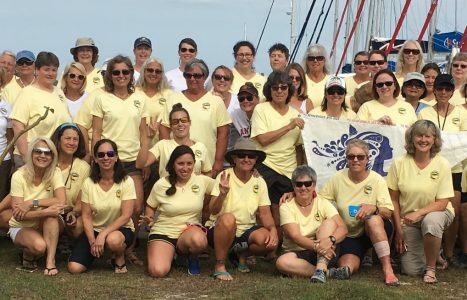 Women Who Sail (WWS) is a Facebook group and like any other Facebook group, there is no “real” organization. The membership is now over 12000, a 50% increase in just the past year. Its focus is on sharing experience, knowledge, and connections world-wide. Membership is, of course, restricted to women. A few years ago, Holly Scott, from Mahalo Sailing, and a few other members had the idea to organize a get-together. The first—held in the BVI in 2015—was such a success a second Rendezvous was held last year in the Sea of Cortez. Members at the 2nd Rendezvous each brought donations for the school children of San Evaristo, a very remote village that welcomed us graciously. It felt good to give something back to a community that shared their beautiful area with us. With that, it was decided each rendezvous would identify a charity or service in need that would be a focal point for the trip. As I had helped out with the 2nd WWS Rendezvous, I offered to do so again for the 3rd WWS Rendezvous–headed for Belize, this time. I told Holly Scott of Mahalo Sailing that I wanted an official title. She let me pick my own and I claimed CEO – Chief Efficiency Operator! My first assignment as CEO was to identify a charity in Placencia. 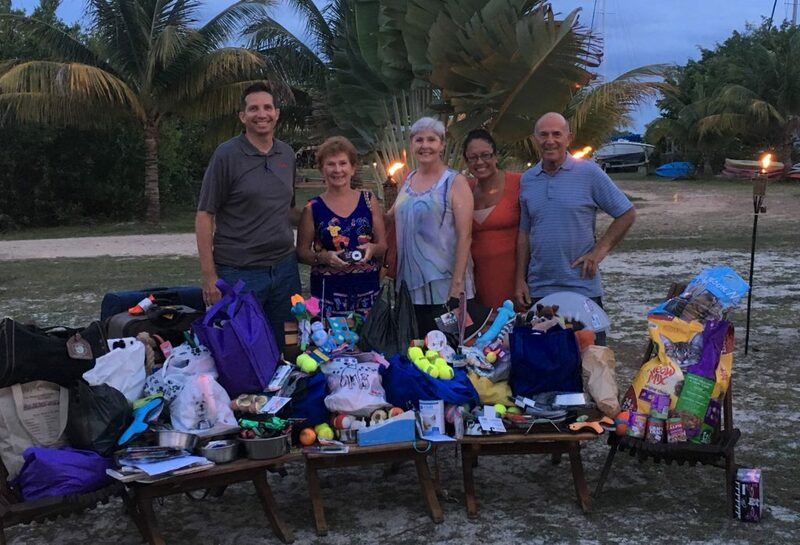 After numerous phone calls and web searches I found the Placencia Humane Society, which provided us with an extensive list of needs. So, I tackled my first cat-herding assignment – with real cats (and dogs) in mind. The collection of gifts and donations I accumulated before the trip! My self-proclaimed CEO job description was broad – and expanded as the rendezvous approached. Planning and coordinating a trip for 50+ people takes a great deal of work. Mahalo Sailing took care of booking boats, identifying qualified Captains and First Mates, route planning and research and addressing all financial matters. My role was a fun and entertaining distraction that kept me going through the long winter months in the land of ice and snow, where I live when my husband and I can’t be on our boat in the Great Lakes. During those chilly winter months, I coordinated t-shirt orders, ground transportation, prizes for our numerous give-aways, and became the defacto communication point with the participants. 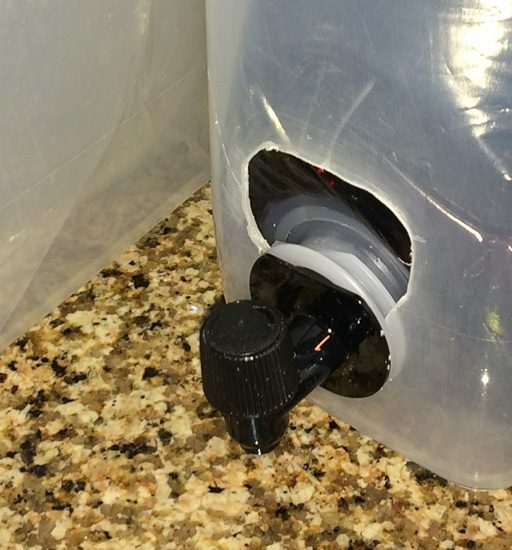 Each year the number of Rendezvous attendees has increased as has the fun. 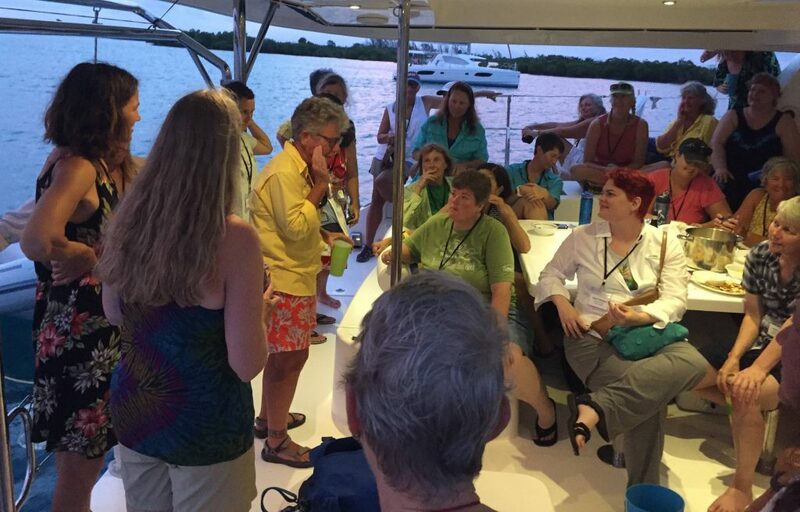 With six CATamarans chartered from Sunsail and a couple of BYOBs (Bring Your Own Boat), our contingent was made up of 57 amazing women. 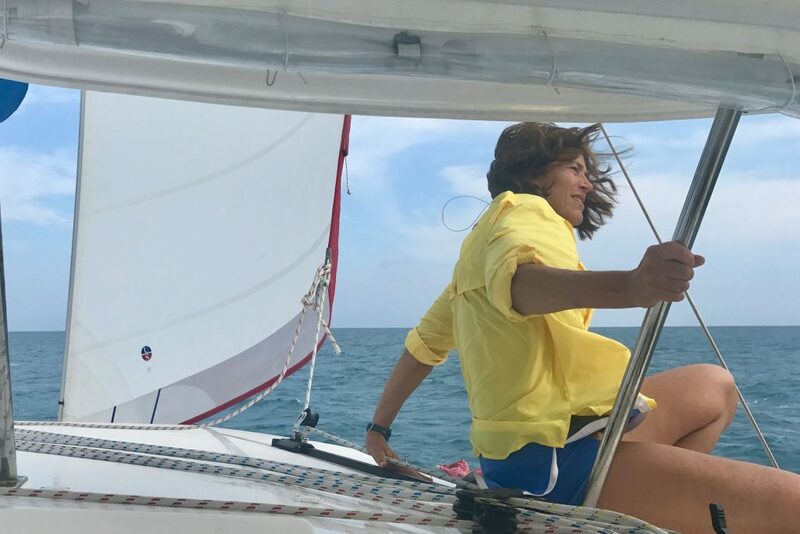 Sailing and boating skills ranged from the expertise of past participants in the America’s Cup to rookies with no experience who just wanted to feel warm breezes on their faces. The Placencia Humane Society Board with the booty! Placencia Humane Society so we could shower them with the eclectic assortment of cat and dog toys, beds, bowls, food, leashes, and even more toys brought by women sailors. The humane society board members seemed overwhelmed and happily expressed their gratitude for the bountiful pirate booty. We departed from the base the next day right after the truckload of provisions arrived. With bucket-line precision the stores were carted off to each boat. Our first destination was Sapodilla Lagoon, an easy 21NM motorsail north of Placencia. The evening was designated as a “quiet” night so crew members aboard each boat could get acquainted. With laughter ringing through the bay – I believe everyone succeeded in getting to know each other but it was anything but quiet! Continuing our trek northwest on day two, we anchored off Tobacco Caye (17.54nm) where everyone got a chance to explore the tiny island, snorkel in the nearby reef, partake in some ridiculously strong adult beverages at the open-air bar, and enjoy a beautiful sunset. Each evening there was a closing radio check by Captain Holly relaying options for the next day. We did some of the prize drawings via VHF and the whoops and hollers echoed around the anchorage from the winners. 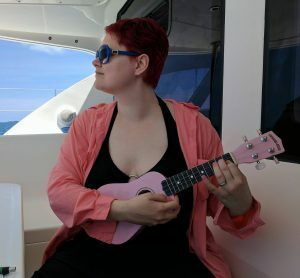 The final communication each evening came via song as the crew of S/V Jing Bao serenaded the fleet, accompanied by a pink Ukulele. How all the good voices and musicians ended up on one boat, I’ll never know! Our crew on S/V Stern Talking enjoyed snorkeling so much that we made a point to have several snorkeling opportunities the following day as we made our way 15 NM south to the Pelican Cayes. After dinner, we took the dinghy ashore to Hideaway Caye where we heard a rumor there was a bar hidden amongst the mangroves. Hideaway is a three-acre mangrove island; nestled within is a tiny restaurant/bar/guest house. The owners and their charming daughter welcomed us to their little piece of heaven and shared their story of how they came to live on an island of mangroves. Day four took us through an area with numerous small islands and reefs. After a three-hour snorkeling stop we continued on to Hatchet Caye where we went ashore to explore the resort. With beautiful gardens and flowers everywhere, it was almost too perfect! A large open-air restaurant and bar with a fresh-water pool were greeted with great enthusiasm by everyone. And the bartenders took it in stride as they suddenly had 57 thirsty customers! While one of our crew joined a couple going on a scuba diving excursion the next morning, the rest of us snorkeled or lounged around the pool at the resort. 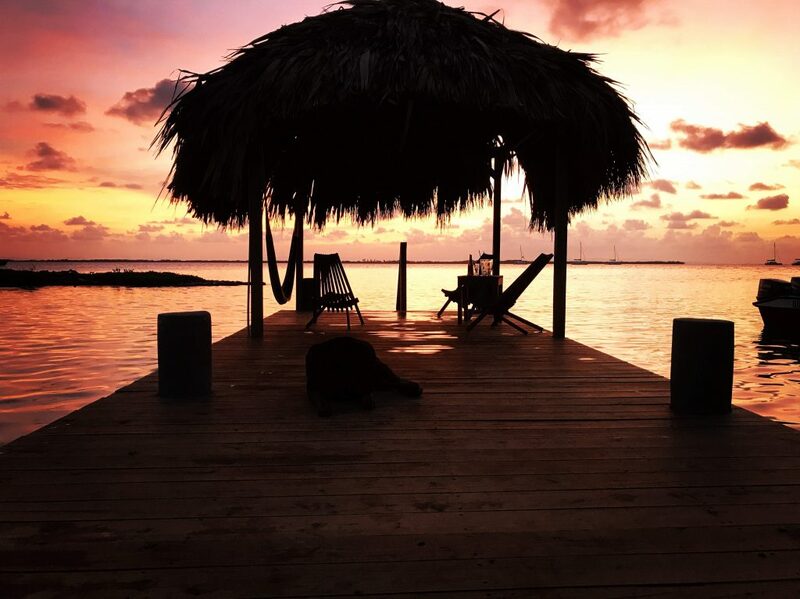 We bade farewell to Hatchet Caye and enjoyed a wonderful but short sail to Lark Caye. The evening started with a dinghy invasion of the mother ship, Blew Nowhere. Armed with beverages and appetizers the mother ship surrendered to raucous laughter and loud music. 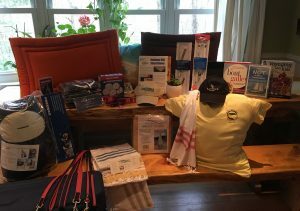 For my part, I came armed with oodles of give-aways including a number of subscriptions for Cruising Outpost. Day six was scheduled to end in the Placencia Village Harbor. 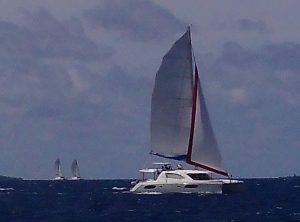 With great winds, all six catamarans set sail and simply enjoyed the day in the wind. With shouts coming across the VHF reporting their top speed, each boat vied to claim the fastest time. We clearly had numerous hidden racers on each boat as sails were tweaked to squeeze every last knot of speed. It was the only day where the CATs actually stayed together! For many, the sailing may have ended but as many of the participants had never been to Belize, the majority opted to stay longer for tours coordinated by the resort. Over the next couple of days, they visited Mayan ruins, nature reserves, went scuba diving, and power lounged around the pool. Kudos goes to the resort staff who maintained perfect smiles and quick wit humor as we all did our best to confuse them with room changes, departure changes, and tour changes! And as the activities wound down, the discussion started about where the next rendezvous would be! First Note: After the article was submitted for publication the decision was made regarding the 4th Rendezvous. With our goal of giving back, the next Rendezvous will be in the British Virgin Islands who desperately need assistance on many fronts but also need the tourists to return to support their economy. The dates are May 12-19 and if you’re interested, you can contact Holly Scott (holly@mahalosailing.com). And yes, I’m going and retaining my CEO title! Second Note: This article was published in Cruising Outpost in their 5th Anniversary Winter 2017-18 edition. 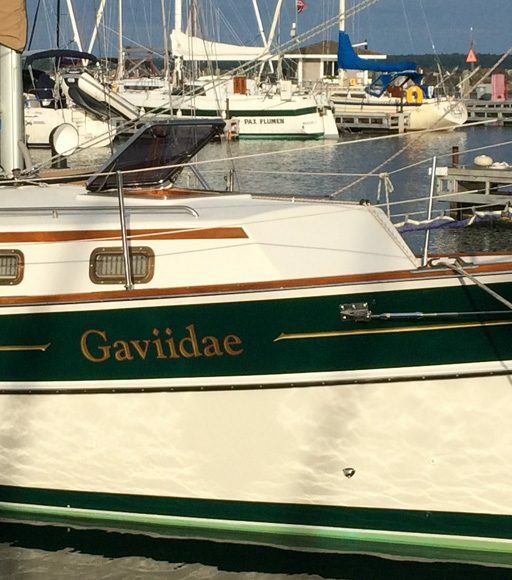 With their permission, I’m posting on GaviidaeSails. 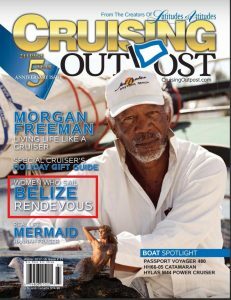 Photos flagged with * were included in Cruising Outpost article. Next PostTis the Season for Giving – Happy Holidays! What an awesome write up, as well as the pix! The slide show at the end was great too! Thanks for rekindling the memories.